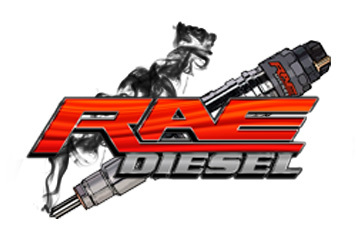 RAE offers quality remanufactured parts to our customers with no upfront core charge. We ask that your cores are returned within 30 days of the order. If you require extra time, you must notify us within 30 days of purchase. A Core refers to the used component that is being replaced. To produce remanufactured products, cores are put through various processes which generally include initial inspection, breakdown, cleaning, repair, replacement of necessary components, assembly, testing, and a final inspection. During these remanufacturing processes, cores are transformed into like-new components which meet or exceed new-component specifications. A Core Charge refers to the cost associated with a core if it not returned to us. This charge allows us to purchase a core elsewhere if the physical core is not returned or is not able to be remanufactured. For domestic orders, we will provide you with a prepaid return shipping label to send back your cores. Once you receive your purchased unit, place the old/used core back in the same box and include a copy of your invoice, packing slip, or order confirmation. Ensure that all critical components are protected, such as encoder sensors and nozzle tips. Properly seal the box with the cores and invoice enclosed and place the prepaid shipping label visibly and securely on the box. Then proceed to drop off the package at your nearest UPS store. Cores are inspected upon arrival according to the core criteria listed below. If cores fail to meet the below criteria, we will notify you that a core charge will be applied. If cores are not returned after 30 days, you will be notified that a core charge will be applied. If you still wish to return your cores after 30 days, we will be able to offer you in-store credit only. Please contact us if you have any questions regarding this policy.